I am retired from the Novato Unified School District and as Principal of Novato High School as of June 30, 2014. As of January 2015 I will be available on a temporary contract for interim and/or consulting work. Depending on an agreement or contract, I am able to work during the school year, nationally and internationally. Rey A. Mayoral has played an active and pivotal role in the field of education for over thirty seven years as an administrator, teacher, and bilingual cross-cultural specialist. Rey was born in Los Angeles in East Los Angeles. He attended Los Angeles Public Schools and graduated from Garfield High School. Rey attended East Los Angeles Community College, received a scholarship to attend California State Polytechnic University at Pomona. He errand his Bachelors of Science and his Master’s in Education both from Cal Poly. He possesses a Bilingual-Cross Cultural Specialist credential and an Administrative Services credential which he received from Pepperdine University. He began teaching in East Los Angeles at Belvedere and Stevenson Middle Schools. Rey taught for five years before becoming the Dean of Discipline and Athletic Director at Garfield High in 1981. During that period, he worked with Jaime Escalante and participated in the transformation of a school known for its gangs and violence into a school of academic achievement. Some of you may remember the movie, "Stand and Deliver." Rey became the Assistant Principal of San Pedro High School in Los Angeles in 1985 and was selected as the principal in 1994. In 1995 Rey was recruited to Oregon as a principal. He was also selected to serve on the Governor’s Juvenile Crime Prevention Task Force and was the chairman for the Ad Hoc committee on school violence. During Rey’s tenure, he helped transform a high school from violence to one of high academic performance. When he arrived, there were approximately 40 students in advanced placement courses. By the time Rey left, there were 450 students in 19 sections of advanced placement courses. The school became a safe, productive learning environment. Rey was instrumental in advancing technology in the school and developing programs for minority students. Rey is a strong supporter of the Arts and was instrumental in the many successes of a performing arts program that was competitive at the state level in band, choir, and orchestra. Additionally, he was a member of the Oregon Commission on Children and Families and of the Northwest Laboratory’s own School Improvement Advisory Committee. He also represented the Northwest Regional Education Laboratory as an Executive Board Member, along with the Governor’s School Transformation Committee. After leaving Oregon, Rey worked in the Sacramento City Unified School District at McClatchy High School. He developed a master schedule for 2500 students clustered into small learning communities based on student interest and aptitude. He worked to increase the number of AP and honors classes with an emphasis on recruiting and retaining minority students. Most recently (Retired) the principal of Novato High School in California, Rey Mayoral has been a leader in school change for over ten years. His leadership has transformed a traditional high school into an innovative learning institution that boasts rigorous academic and performing arts curriculum, along with a comprehensive sports program. For nearly a decade, Mayoral has provided the leadership for positive change that has been a constant throughout his career. At Novato High School, as in his other schools, Mayoral has increased the number of Advance Placement (AP) and Honors classes, while eliminating restrictions that reduce the numbers of students able to take these challenging courses. It is no surprise that Novato High School, under the leadership of Mayoral, for the first time exceeded the California state target of 800 API, and has continued to do so since 2010. He supervised and coordinated the creation of new and innovative programs and facilities, such as an award-winning broadcast studio. He oversaw the resurgence and expansion of the ROTC program, including the new facility and the redesign and renovation of the music and art facilities. Rey was responsible for the reinstatement, development and expansion of the AVID program, the creation and design of the College and Career Center, the development and creation of the after school tutorial program and the renovation of classrooms, which included advanced technology equipment. Rey worked collaboratively with the school, district and community to oversee the development of the multi-award winning Marin School of the Arts magnet academy that saw an increase in enrollment from 90 to 470 students. In addition, MSA has been recognized by received awards such as the U.S. Congressional Art Show Grand Prize, Ohlone Drama Festival Sweepstakes’ Winner, Bob Smart Dram Festival 1st Place, Presidential Scholars Program winners, Folsom Jazz Festival Frist Place, Fist Place Command Performance Finalist at the Reno Jazz Festival. His commitment to academics is evidenced by the creation of the NHS Academic Boosters which is responsible for the successful after school tutorial program, academic recognition awards program and the development of student support programs. Under his leadership, and with his consistent vision for a safe, high quality school, Rey has implemented strategies that have led to a decrease in student tardies, suspensions and expulsions, and an increase in academic performance. Rey, working with staff, parents and students, led the change from a traditional FIFTY- minute period schedule to a modified block schedule allowing for the creation of Professional Learning Communities for the first time at Novato High. Along the way, Rey led Novato High School to two successful WASC Accreditations. With a dramatic decrease in discipline, academic performance has reached new highs with an API reaching 817 for the 2012 school year. Rey Mayoral has been honored for his work in eliminating gang influence and gang activities, while creating a safe and positive learning environment for all students. His bilingual English/Spanish skills, combined with his cultural heritage, helped him establish a strong ELAC program, while creating a parent outreach program for the all Latino parents. Rey instituted policies to create support programs for all students with a GPA of under a 2.0. This program improved academic achievement by involving parents in the process. With a core belief that all students can learn, Rey has provided a shared school-wide philosophy that all students can attend the college. Graduating seniors during his tenure at Novato High School have steadily received more scholarships and awards from one million dollars to last year’s senior 2012 awarded over four million dollars in scholarships. Rey Mayoral began his career as a teacher in the mid-1970s and served as the Athletic Director, Dean of Students, Assistant Principal or Principal of several high schools in Los Angeles Unified School District from 1976 to 1995. 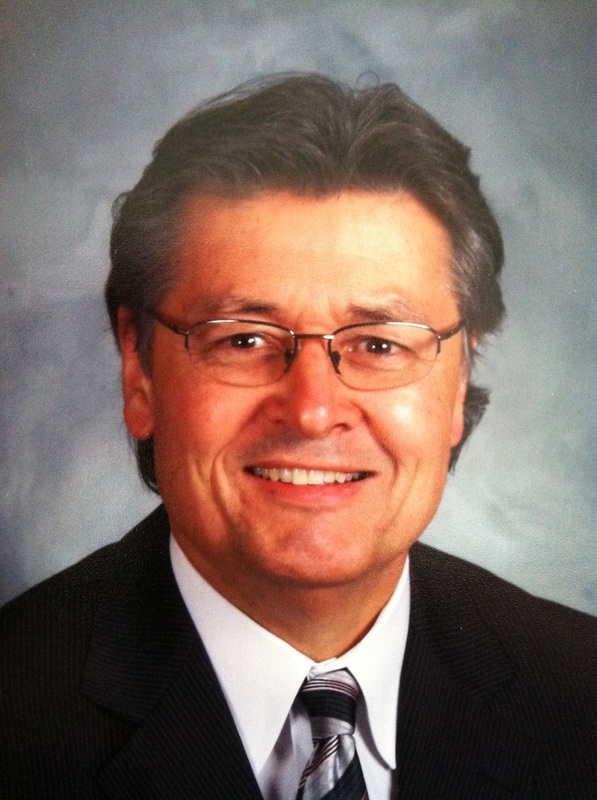 He began his current position as Principal of Novato High School in Novato, California in July of 2005. Over the past nineteen years as a high school principal, Rey has mentored and trained twenty four assistant, principals many of whom have gone on to jobs as principals or district office leaders, as well as superintendents. Currently, Rey is working for the Marin County Office Of Education as a interim Northern California Career Pathways Initiative Project Consultant.